Hyde Park Festival 2015 - That Guy with the Birds! Hyde Park Festival July 26th 2015! 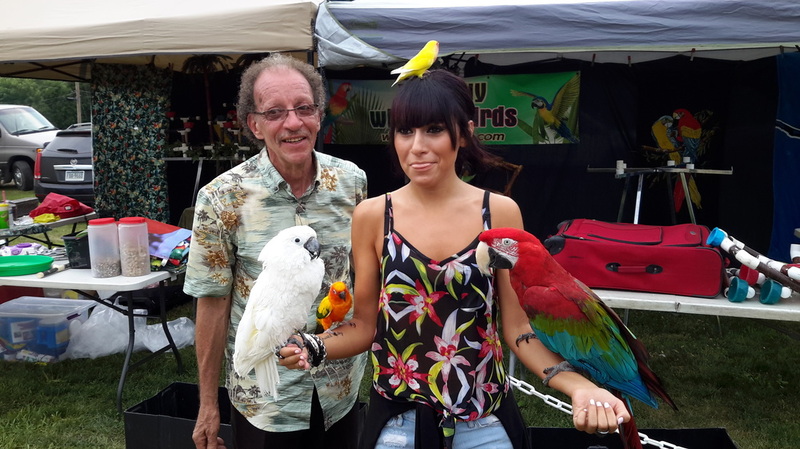 Mia Z from "The Voice" holding the birds! My Thanks to all who braved the heat and stopped by to see the birds! It sure was a hot one, but everyone had a great time! Always nice to do a hometown festival and catch up with old friends as well as make new ones! Pictures at the Hyde Park Festival 2015!